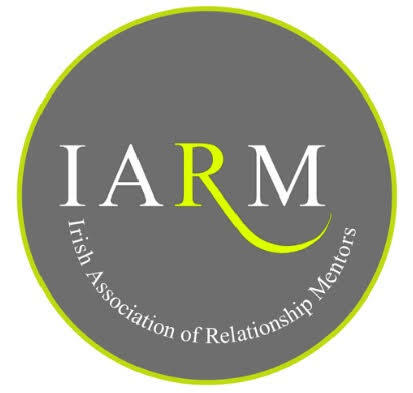 Supporting Relationship Mentors and offering Relationship Mentoring and Educational Courses for Individuals, Families, Schools, Workplace and Community, in the pursuit of emotional wellbeing for all. We are always in relationship from conception right through to the end of life. It is the quality of those relationships that determines the wellbeing of individuals in all the settings in which we live. In childhood, our focus necessarily is on how others – most importantly our parents and other significant adults – are relating with us. As adults, the most important relationship is the relationship with self. When we have a strong knowing of self, we can relate openly to all others; our children, partners, co-workers and the wider community. The key issue here is that much of what drives our lives, personal or professional, lies at an unconscious level and will not come into conscious awareness until there is safety to do so. Finding safety in adulthood often needs to find its start from the experience of a strong relationship with another who can relate in an unconditional manner. The Relationship Mentor who is professionally trained and experienced provides an unconditional, non-judgmental and compassionate relationship. This creates the safety for the individual to explore their relationship with self and others. In recent times, there has been more and more research in the field of Psychotherapy and Counselling which shows that it is not the type of therapy/counselling that is the significant influence on effectiveness; the significant influence is the relationship between Therapist and Individual. Through the process of a loving, open, kind enquiry and safe holding between the Relationship Mentor and Individual, what emerges is a realisation of the true nature, vast intelligence and creativity which has been used to protect the self in the face of hurts and suffering in our lives. Do you find yourself experiencing panic attacks? Are you feeling stressed, anxious, fearful, lonely or depressed? Do you feel your health, your wellbeing or your relationships at home or at work, is being affected? Are you feeling confused in understanding your child’s challenging behaviours? Is your child showing signs of anxiety or feeling bullied, or lacking confidence or has low self-esteem? Has learning become difficult for him/her? Has there been any unexplained and unresolved illness? Do you see conflict as an opportunity to deepen your relationship between you and your teenager? Are you clear on your own and your teenager’s boundaries and the role that clear and fair discipline plays in the setting of boundaries? Sexual Expression is one of the many ways we communicate. Do you feel safe to express yourself authentically around your sexual needs? Is there safety and respect around sexuality at home and elsewhere in your life and in your child’s life? Do you struggle to know what makes you happy and can you express your needs? Can you stay separate from the judgement of others?